“I’m sorry that he feels personally that this is about him: I don’t view it that way. I don’t think Senator Stack views it that way. 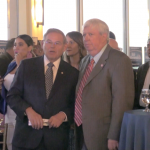 Anybody whose involved in Hudson County politics or follows it would attest to the fact that for some time, County Executive Tom DeGise said he wasn’t running for re-election,” Fulop said during a sit down interview in his office. Fulop’s remarks came after Hudson County View cited a fiery comment DeGise gave to The Jersey Journal about the situation, stating “I’d rather be the guy that’s getting f***ed than the guy that f***s somebody,” exclaiming that he felt like he’d been stabbed him in the back by Stack and Fulop. DeGise was given the news at a meeting at the Coach House diner on Wednesday shortly before the heavy snowfall began and minutes later Fulop and Stack had made their decision public. 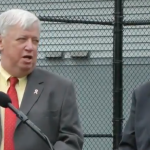 While over a dozen public officials have joined the cause to oust DeGise, a coalition supporting his candidacy is being led by U.S. Rep. Albio Sires (D-8) and state Senator (D-32)/North Bergen Mayor Nick Sacco. 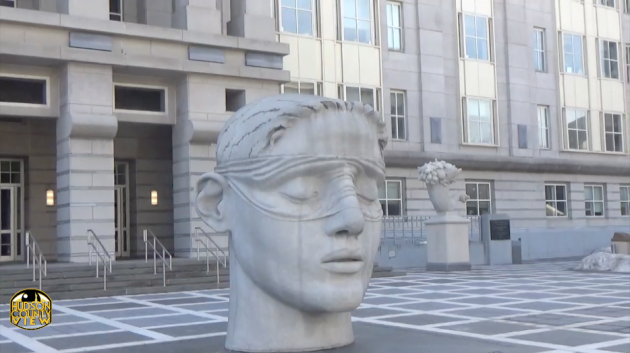 Some members of the latter faction had begun floating a rumor that Fulop would ultimately be the candidate that challenges DeGise in June 2019. Fulop didn’t mince words when asked directly if he would be the candidate. 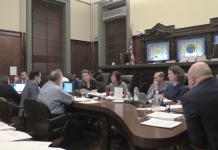 “I’m not gonna be the county exec candidate: look, I think I’ve been clear here why we’re changing it or hoping to change it and why we’ve expressed that. Somebody asked you ‘can you support me?’ and then saying ‘if you’re not going to support me, then maybe we won’t run if we don’t have all support of the mayors’ and I think Tom would acknowledge that conversation ensued,” he explained. He further stated that he learned in the Marine Corps to be direct and straightforward with people, even if they may not like the answer, and that’s how he approached this situation with DeGise. 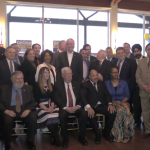 When asked if he believed that rumored candidates like Freeholder Bill O’Dea (D-2), state Senator Sandra Cunningham (D-31) or County Clerk E. Junior Maldonado would truly fit the “fresh blood” mantra, Fulop reiterated the candidate hasn’t been selected yet but the point is to breath new life into the office. “I don’t think that you always need a bright, fresh, new face to have a fresh perspective and fresh ideas. I think what happens in any elected office is when you stay too long, you get to comfortable in that respective elected office,” the mayor stated. 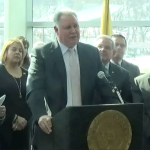 A campaign spokesman for DeGise declined to comment on Fulop’s remarks, but the county executive will join us live next Friday at 1 p.m. to give his side of the story. Fulop is doing an amazing job in Jersey City. If only he could come to Hoboken and take over. Stack has been Mayor 18 years and State Senator for 11 years. He’s a double dipping violator. Fulop has some nerve talking about those who overstay their welcome.